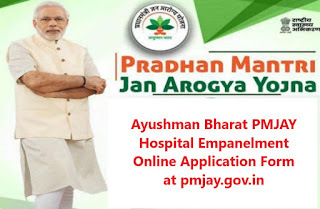 We all know that the Ayushman Bharat PMJAY is new initiative under National Health Protection Mission. It is most affordable health insurance scheme and providing social security to the poor Indian people. The Indian Prime Minister Narendra Modi has announcement about ayushman bharat PMJAY on Independence Day speech. Its health insurance also known as Modicare. Ayushman Bharat – National Health Protection Mission (AB-NHPM) Will provide health insurance protection up to 5 lakh per year per family. The major aim of this Scheme is to deliver comprehensive primary healthcare services across the nation by creating a network of health and wellness infrastructure. More then 10 crore poor families are taking the benefits of this insurance scheme. There is no pre-condition for treatment and people can get health benefits only through a single prescribed ID and also no restriction on age, family size and gender for Hospital Empanelment. Now you can see the Home Page of official website, Click on the “Hospital Empanelment” button as show in above image. 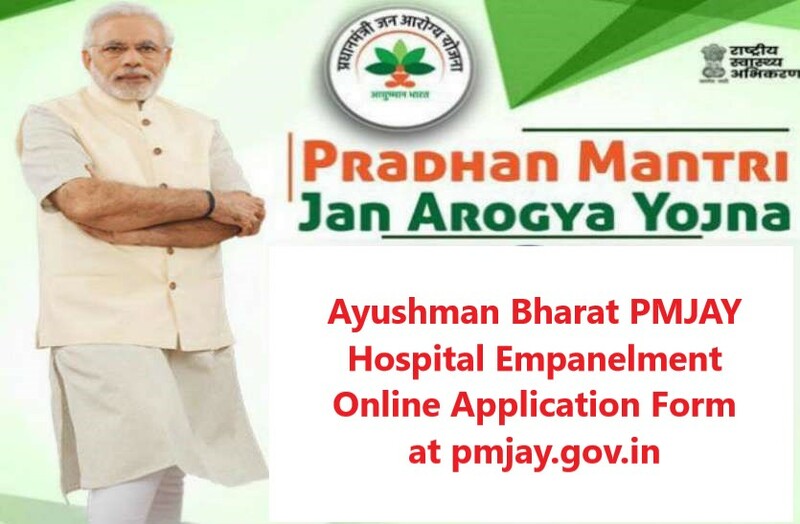 Now Ayushman Bharat Yojana Hospital Empanelment Online Application Form will appear at your desktop. As per above image you can see two options, one is Login (Already have an account) and other is create account. If you already have an account then you just login by putting the hospital reference number and password and you want to create a new account then fill up all details like hospitals state, name of hospital, hospital parent (single / group), contact person e-mail ID & mobile Number and Hospital Type (Public / Private (Not for Profit) / Private (Profit)) and then click on “Create an Account” option to complete the hospital empanelment process. Hospitals must also check the empanelment criteria before making registration and subsequent login. Hospital’s Empanelled under RSBY no need to again & again register. If you have already account then Hospitals can make ‘Login’ using Hospital Reference Number as RSBY Hospital Code as printed on your MHC and Password as Hospital’s PIN Code.